What’s the Price for the 2019 INFINITI QX60? How Many MPG Does the 2019 INFINITI QX60 Get? What’s New for the 2019 INFINITI QX60? Originally the JX35, the QX60 enters the 2019 model year—its seventh—with its new nomenclature. This midsize luxury crossover has a few added standard features, and the trims have been renamed as the Pure and the Luxe. 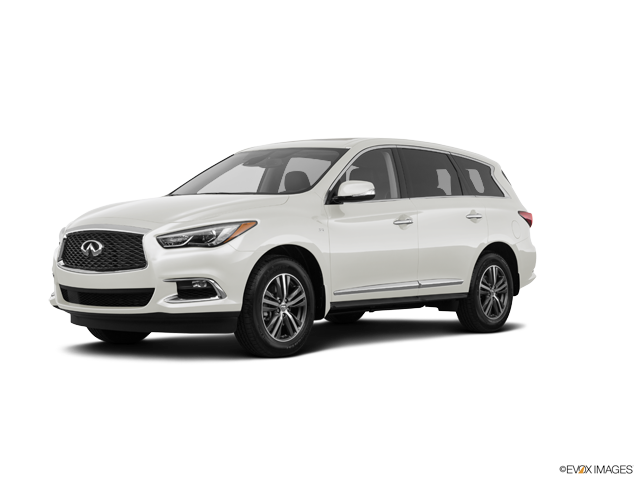 The 2019 INFINITI QX60 is powered by a 3.5-liter V6 with 295 horsepower and 270 lb-ft of torque. It is mated to an electronically controlled continuously variable transmission with a manual shift mode for sequentially selectable manual gearshifts. Choices of drivetrain are between a front-wheel drive and an all-wheel drive. The QX60 is designed as a three-row vehicle that can seat up to seven people. Leatherette seat trim with a graphite weave interior trim, an 8-way power-adjustable driver’s seat, a 6-way power-adjustable front passenger seat, multi-mode second-row seats for easy access to the third row, a leather-wrapped steering wheel, and heated front seats are standard. Added on the Luxe are heating on the steering wheel, an entry/exit assist system for the driver’s seat and steering wheel, and a dual occupant memory system for the driver’s seat, steering wheel, and side mirrors. Standard comfort and convenience features include cruise control, a smart key system with push-button engine start, tri-zone automatic climate control, eight cupholders, an auto-dimming rearview mirror, the HomeLink® universal home remote, an INFINITI InTouch™ system that combines an 8-inch color vehicle information display and HD Radio®, the INFINITI Intelligent-View® Display for the instrument cluster, eight USB ports (2 ports for hooking up portable media devices and 6 ports for charging), Bluetooth® hands-free phone calling and audio streaming, a three-month trial subscription to SiriusXM® Radio and a four-year trial subscription to SiriusXM® Travel Link, voice recognition technology, and a six-speaker audio system with AM/FM radio, a CD player with MP3 playback capability, a Radio Data System, and speed-sensitive volume control. Enhancements and additions on the Luxe include remote engine start and a 13-speaker Bose® premium audio system with a DVD player. For protection in the event of a collision, the 2019 QX60 comes with dual front impact airbags, dual front seat-mounted side impact airbags and dual roof-mounted side curtain airbags. Other standard safety features on this midsize luxury crossover include electronic brake-force distribution, brake assist, blind spot warning, predictive forward collision warning, forward emergency braking with pedestrian detection, traction control, vehicle dynamics control, four-wheel anti-lock disc brakes, a rearview camera, and hill start assist. Security is provided by a theft-deterrent system that incorporates keyless entry, engine immobilization, and a panic alarm. For more on the 2019 INFINITI QX60, call us today at our dealership in Maple Shade, New Jersey. With favorable aggregated reviews on Google, Cars.com, and DealerRater.com, we are committed to providing outstanding customer service. 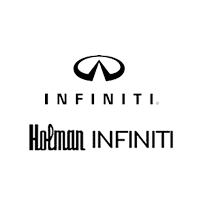 One of our INFINITI specialists will assist you with getting the crossover you want and need. * Price is Manufacturer’s Suggested Retail Price (MSRP). MSRP excluding destination charge, tax, title, license and options. Dealer sets actual price.